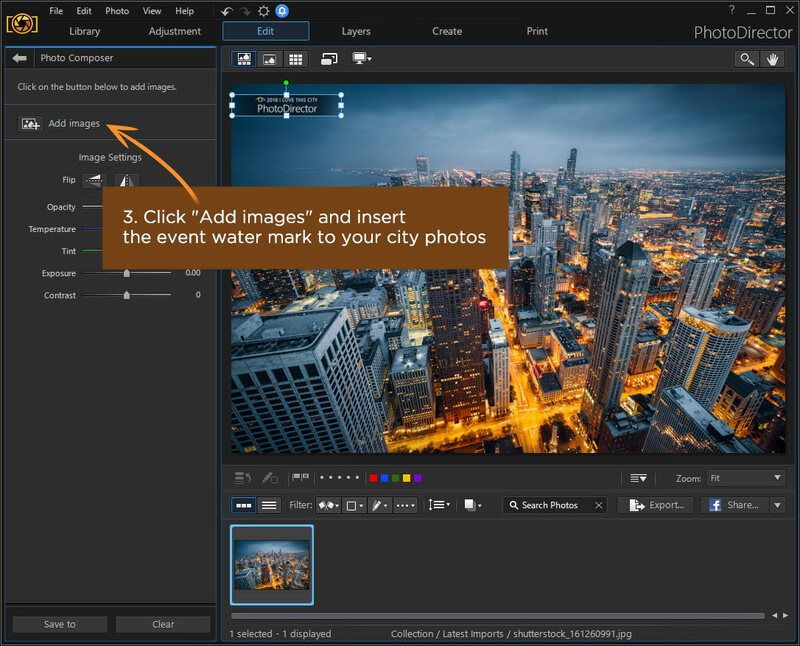 Use PhotoDirector to edit your city photos and add an exclusive watermark to your entries. Upload your photos to DirectorZone. Fill out the entry form on the submission page. 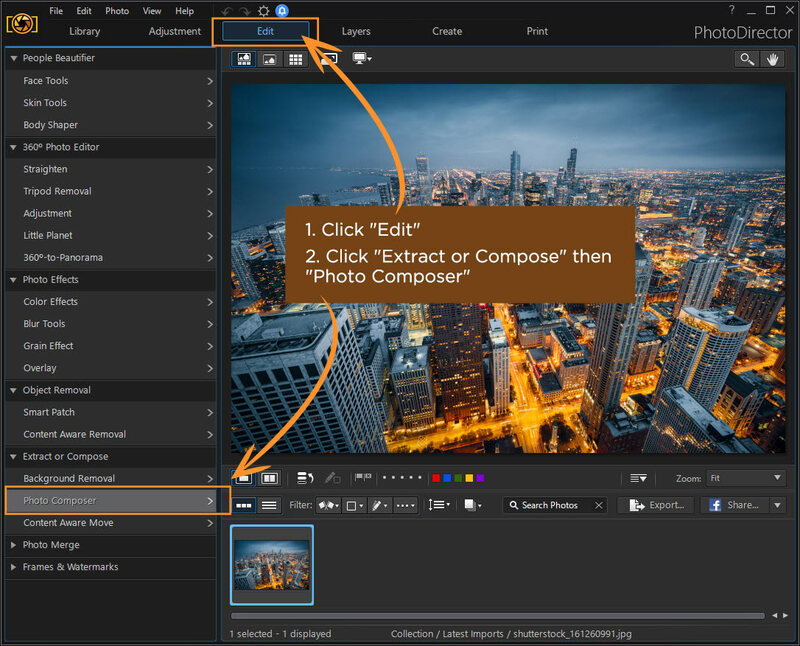 add an exclusive watermark to your entries. Turn your photos into a world of their own in just a few quick clicks with the new 1:1 Little Planet feature. 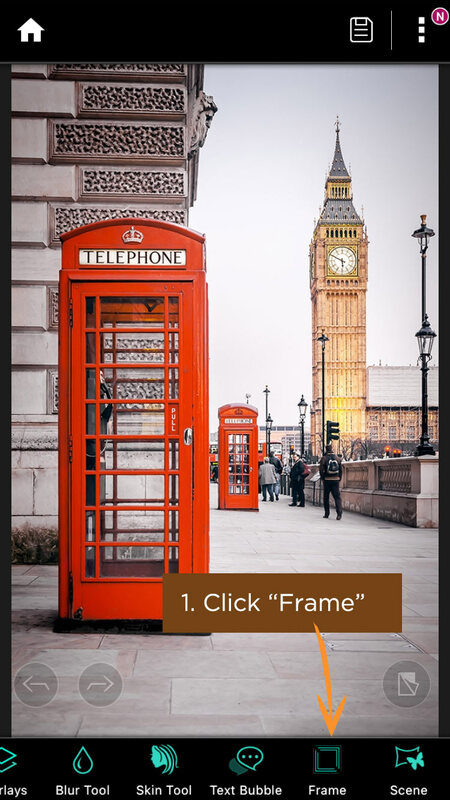 Brush over sections of a video clip to retain movement in that area only. Other parts appear frozen in time! (including medium and large-format cameras). Works that are identical or similar to another submitted work, as well as works including identical or similar works submitted as separate works, are ineligible for submission. It may take up to 3 business days to verify photos and post them onto the contest's gallery. Number of votes for each photo is calculated based on the total of likes caculated by Facebook. 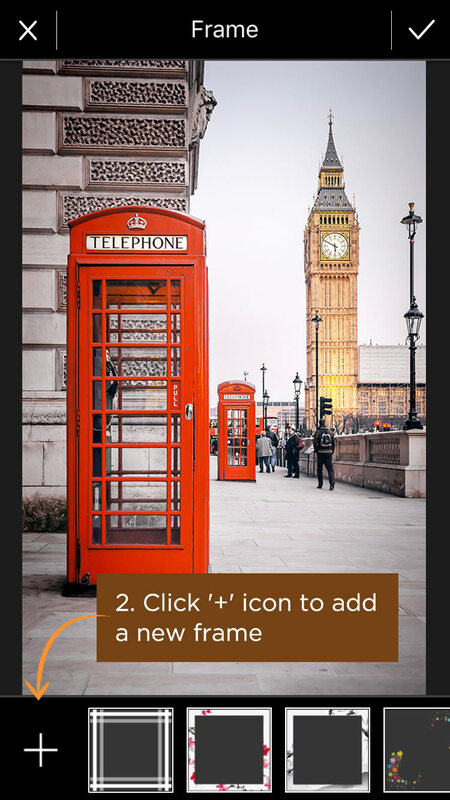 One Facebook account may only vote for each photo once. For Audience Favorite's award, in the case that there are multiple photos with the same number of votes, there will be a random draw for one winner. Any use of robotic, repetitive, automatic, programmed, script, macro, or any other automated means or similar entry methods or agents for voting is not permitted and will result in the disqualification of all votes received through that method. How do I sign-up for a DirectorZone account? To sign-up for a DirectorZone account, go to the DirectorZone sign in page, choose “Sign-in with your CyberLink account” on the right and select the “Sign-up” option. Note** If you choose the Facebook option on the right, you will not be able to share your photo to DirectorZone. 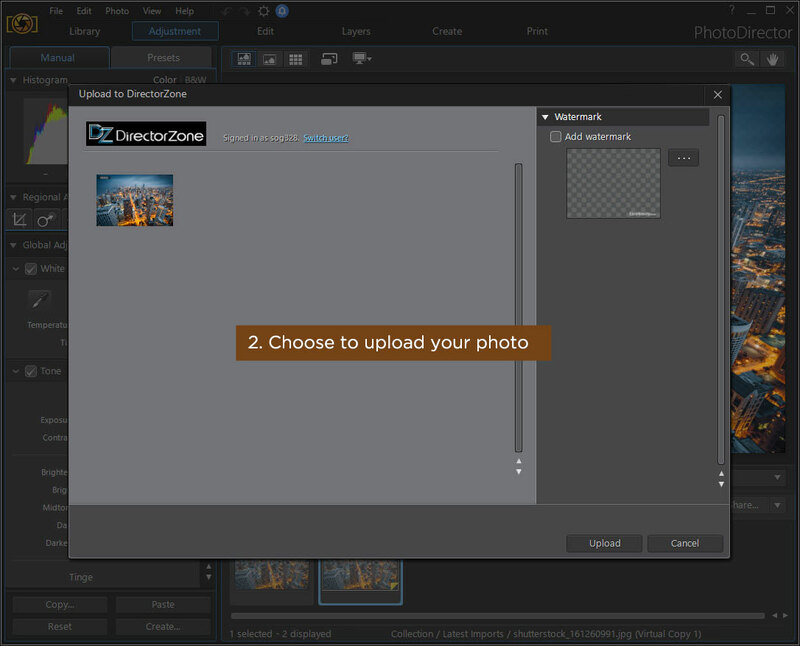 I have a DirectorZone account, how come I cannot sign in when I'm uploading my photo in PhotoDirector? 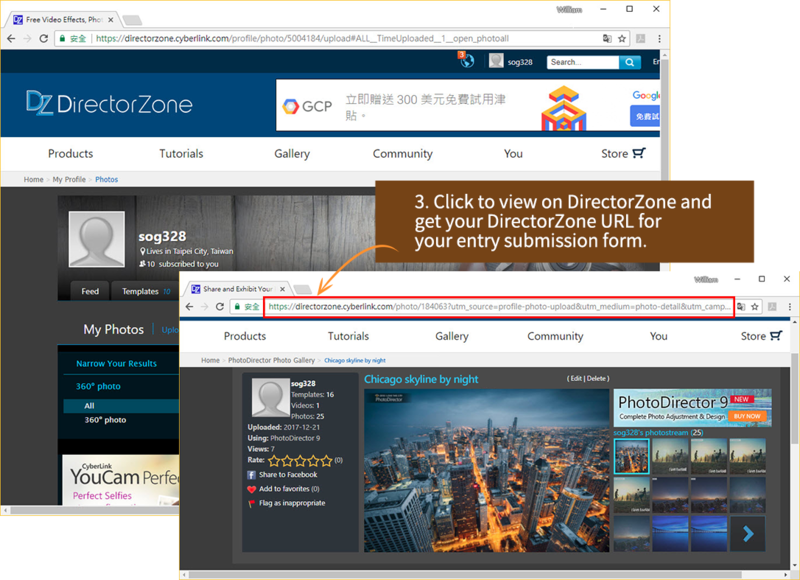 If you used your Facebook account to sign-up on DirectorZone, you will not be able to sign into your account on PhotoDirector as it is not equivalent to a CyberLink account. All you have to do is sign-up for a CyberLink account on the DirectorZone sign-up page by selecting the ʺSign-in with your CyberLink accountʺ option on the right. I have submitted my photo, but I do not see it in the gallery page. Did you receive my photo? Please make sure your photo fulfills all the requirements. It does take up to 3 business days for your photo to be approved. If your photo does not fulfill the submission requirements, you will also receive an e-mail notification of this result, so check your junk mail folders if you are unsure. If your photo fulfills all requirements and you have heard no reply from us, please send us an e-mail with your submission information and we will help you. This contest is being held in several different languages, including English, French , German, Japanese and Traditional Chinese. There is only one set of prizes for all languages. CyberLink will contact the event winners via the e-mail address provided during submission. If the winner does not reply within 30 days of contact, the winner automatically forfeits their entitlement to the prize. CyberLink reserves the right to appoint new winners in the event that the original winners forfeit their prize. To complete the submission of the contest, you automatically agree that CyberLink may ask you to complete a profile, which may include your name, country of residence and email. Your name will be publicly visible to others on the event site. Participants automatically agree that CyberLink may e-mail me promotional messages, marketing and other information. For clarity, participants retain all ownership rights to their content. 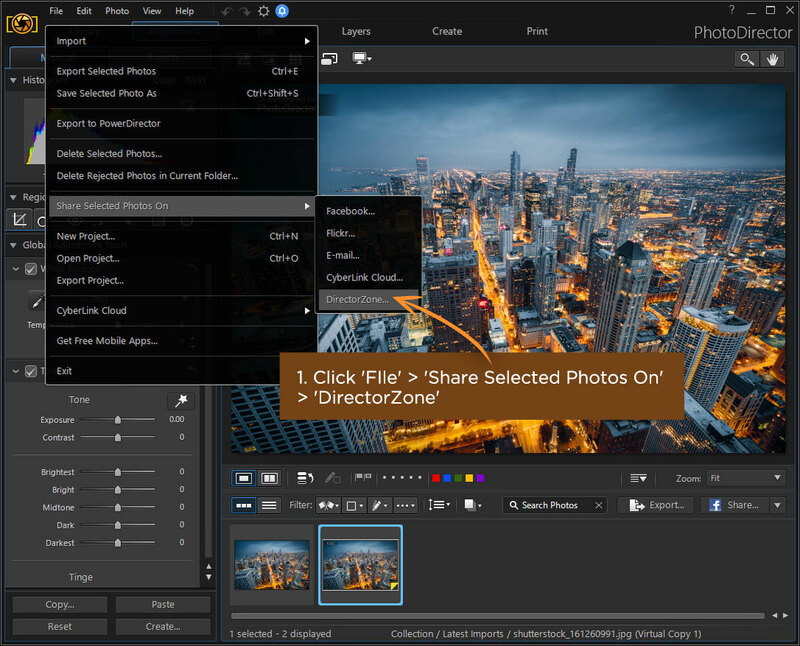 However, by submitting their photo to the contest, they hereby grant CyberLink a worldwide, non-exclusive, royalty-free; license to use, reproduce, distribute, prepare derivative works of, display, and perform the video content in connection with CyberLink services. CyberLink acts only as host of this online event, and is not responsible for any infringement of copyrighted materials used in any submissions. You as the contestant are solely responsible for any photos used in your produced photo and responsible for legal repercussions. CyberLink Corporation is in no way responsible for any legal ramifications caused by the content of the entries. CyberLink reserves the right to ask contestants to provide proof of ownership for all content, and has the right to refuse photo entry for submissions that cannot provide proof of ownership. You understand that CyberLink does not guarantee any confidentiality with respect to any photo content you submit. You affirm, represent, and warrant that you own or have the necessary licenses, rights, consents, and permissions to publish the content you submit. Winners residing outside Taiwan are exempt from prize taxation. If the total prize amount exceeds NT$20,000, a 10% tax deduction will be incurred in accordance with the Standards of Withholding Rates for Various Incomes. Non-residents of the Republic of China (e.g. a foreigner residing/staying in Taiwan for less than 183 days per year) will incur a 20% tax deduction regardless of the prize value. The winner may only claim his/her prize by presenting his/her passport or alien residence certificate. For physical prizes shipped outside of Taiwan, CyberLink will ship from a local e-commerce website where the winners reside, or an international e-commerce website that ships globally. 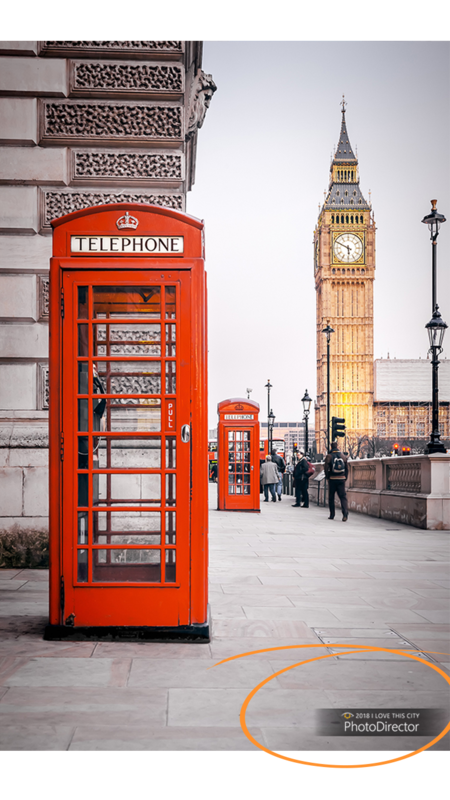 The recipient of the international shipment may be subject to import taxes, customs duties and fees, which are levied once a shipment reaches your country. Additional charges for customs clearance must be borne by the recipient. All recipients must comply with all laws and regulations of the destination country. CyberLink reserves the right to change these Official Rules at any time, in its sole discretion, and to suspend, cancel, postpone or extend the Contest or any entrant's participation.